For more specific information, click the Details button. 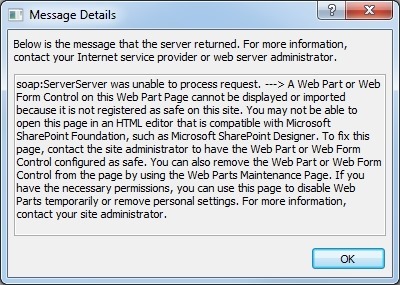 A Web Part or Web Form Control on this Web Part Page cannot be displayed or imported because it is registered as safe on this site. 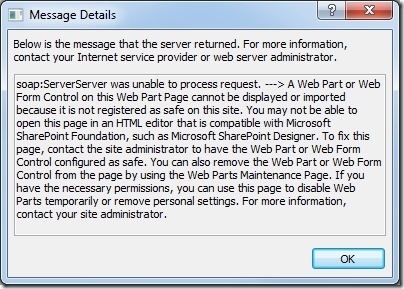 Now I can see the list of web parts, delete those listed as “ErrorWebPart” and edit the page in SharePoint Designer.